September 22, 2016 – DJI, the world leader in unmanned aerial vehicle technology, will open the doors of its Hong Kong flagship store to the public this coming Saturday, September 24, making it the third DJI flagship store in the world. 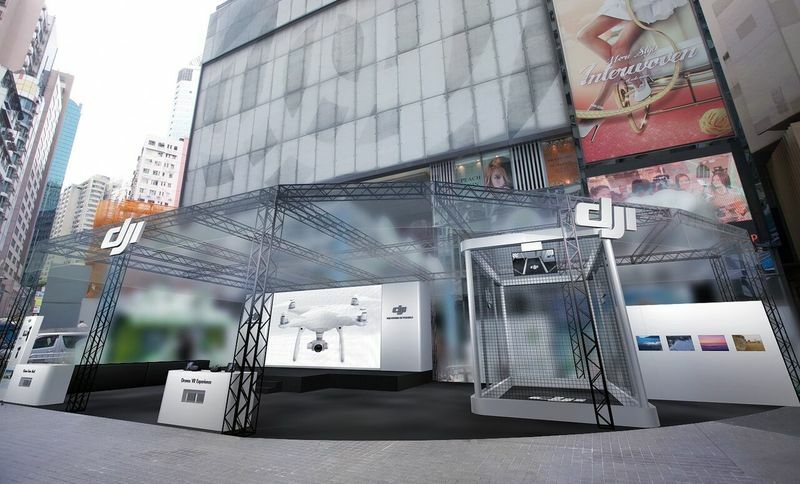 Located at the center of Hong Kong’s busiest shopping district in Causeway Bay, the three-story, 10,000+ square-feet flagship store will display DJI’s full range of aerial and handheld products. The flight cage on the ground floor will allow visitors to see DJI drones in action even from outside the store. The SkyPixel Gallery on the first floor will showcase breathtaking examples of aerial photography from around the world. The second floor will house the technical support center* and a dedicated space for workshops, seminars and special events. Adding to Hong Kong’s iconic skyline is an animated display on the façade of the building, illuminating the instantly recognizable shapes of the DJI drones themselves. Life-size DJI Phantom and Osmo mascots will kickstart the day's celebration with a street parade around the Causeway Bay area. An outdoor flight cage and Virtual Reality experience zone will be set up just outside the World Trade Center for people who want to experience the thrill of being in the pilot’s seat. For those who want to play the role of movie director, they can pick up an Osmo (a stabilized 4K handheld camera) to capture all the excitement and happenings in and around the neighborhood. Workshops by aerial photographers, dance and music performances by local bands leading into the early evening. Those who wish to tune in to the opening day activities remotely can watch the live stream at http://live.dji.com or join the Official DJI Hong Kong Facebook Page at https://www.facebook.com/DJIHKOfficial/. The DJI Hong Kong flagship store will open its doors to customers at 12 noon and the first 200 customers can enjoy a discount of up to 30% on selected DJI products purchased at the flagship store on opening day. On display and for sale will be DJI’s consumer products, including the latest Phantom 4 drone and Osmo Mobile stabilized handheld gimbal, as well as professional products, including the Inspire 1 and Matrice drone series, the Zenmuse Z3, X5R, and XT cameras, and the Ronin handheld three-axis camera gimbal line. 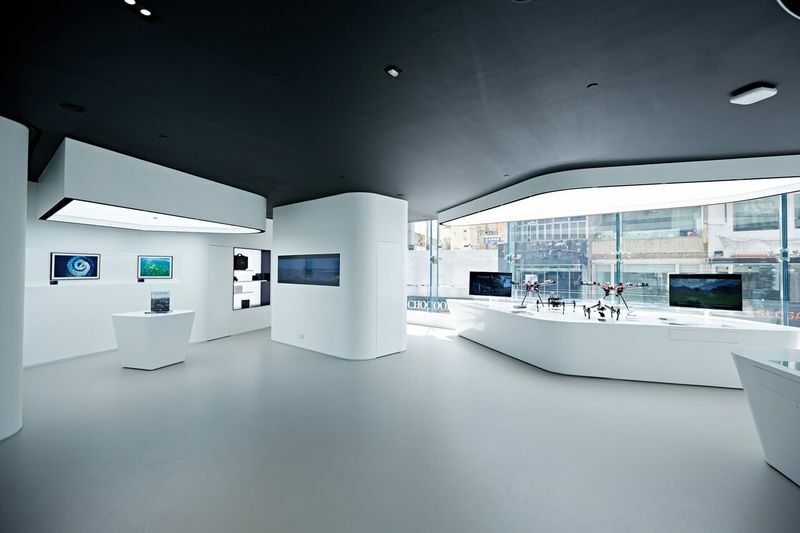 The Hong Kong flagship store is DJI’s third foray into retail after the December 2015 opening of its first flagship store in in Shenzhen, China, followed by the Seoul, Korea flagship in March 2016. More than just a retail outlet, the Hong Kong flagship store will provide a location where the worldwide community can connect to share their experience of flight and discover the latest UAV products and aerial cameras. The Hong Kong flagship store is located at TOWER 535, Shop G07, 535 Jaffe Road, Causeway Bay, Hong Kong. Opening hours of the store are Mon – Sun, 10:00 – 22:00 and for after-sales service, Mon – Sun, 10:00 – 19:00. *The Hong Kong flagship store technical support center and online booking system will official open after the grand opening weekend on September 26, 2016 at 10:00. To make an appointment for repair or technical consultation, customers can visit https://www.dji.com/zh-tw/service/repair/reserve. For general after-sales inquiry, customers can call +852 3018 8979 to speak with one of our customer service representatives. DJI is a global leader in developing and manufacturing innovative drone and camera technology for commercial and recreational use. DJI was founded and is run by people with a passion for remote-controlled helicopters and experts in flight-control technology and camera stabilization. The company is dedicated to making aerial photography and filmmaking equipment and platforms more accessible, reliable and easier to use for creators and innovators around the world. DJI’s global operations currently span across the Americas, Europe and Asia, and its revolutionary products and solutions have been chosen by customers in over 100 countries for applications in filmmaking, construction, emergency response, agriculture, conservation and many other industries.